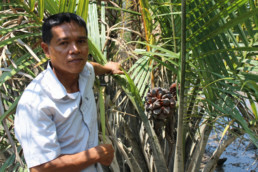 In 2009 the Mangrove Action Project collaborated with IUCN and Mangroves for the Future to implement CBEMR Training Workshops in Ban Tale Nok, Ranong Province and Krabi Town, Krabi Province, Thailand. 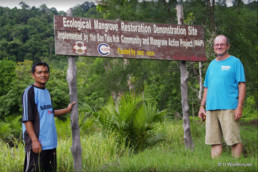 It involved field visits to previously restored mangrove sites where participants were presented with discussions regarding issues faced by each. The training involved a mixture of presentations, learning exercises, and Q&A sessions. 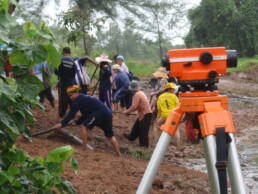 Through the knowledge gained, villagers were able to successfully restore 0.7ha of mangroves using the principles and methods of CBEMR. Villagers have seen a noticeable increase in both vertebrates and invertebrates at each restoration site. The site at Ban Talae Nok is now used as a demonstration site and regularly visited by study groups, homestay tourists and students.